Houston Texans 26oz NFL Sculpted Tankard, by The Encore Group. Officially licensed Houston Texans sculpted ceramic NFL tankard with raised Houston Texans logo. Dishwasher and microwave safe. Houston Texans / Inaugural Game at Reliant Stadium Framed and Matted Panoramic Photograph. This officially licensed NFL panorama photo is of the Houston Texans (Inaugural Game) at Reliant Stadium in Houston, Texas, on September 8, 2002. 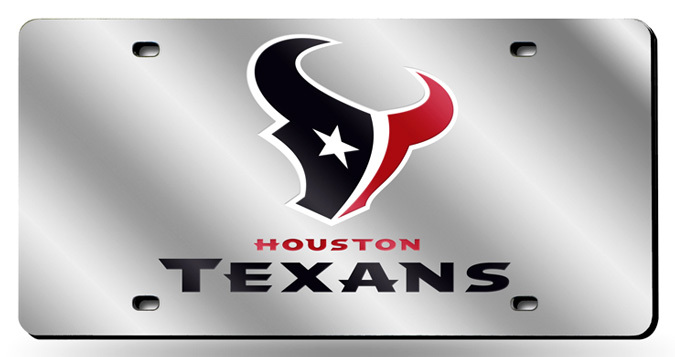 The Houston Texans (First Win) defeated the Dallas Cowboys 19-10. The deluxe panorama features black double matting and your choice of black or cherry frame, with a 1" x 4" engraved brass nameplate. Actual size is 40" x 14"